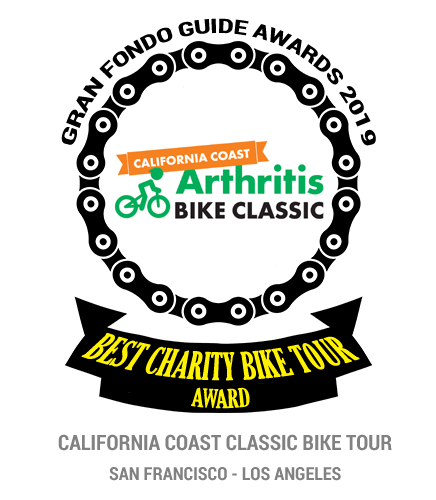 "Winner of the 2019 Best Charity Bike Tour Award by Gran Fondo Guide"
Join us for the Ride of a Lifetime! The 19th annual California Coast Classic (CCC) is a fully-supported boutique tour limited to 250 riders to raise funds for the Arthritis Foundation. 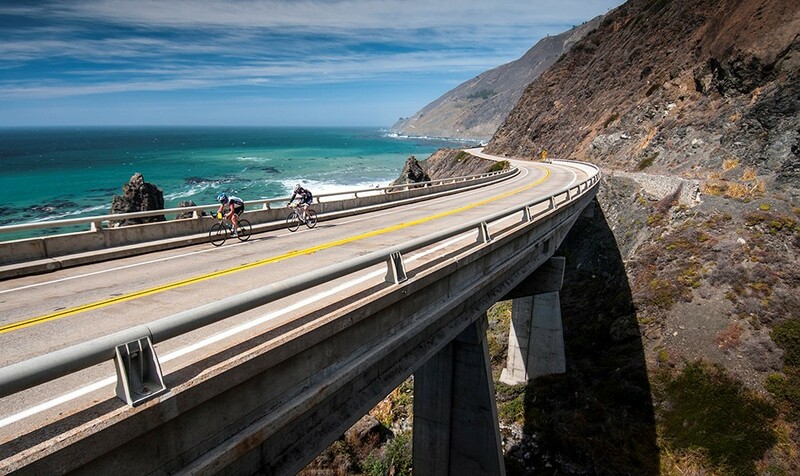 Ride the iconic Highway 1—from San Francisco to Los Angeles among waves, woods, and wineries—fully supported at your own pace. We ride along coastal roads and camp or hotel in areas not open to larger groups. The CCC covers 530 miles over 8 days during the best time of year in California. Click here for full details. For help or more information about the Arthritis Bike California Coast Classic, contact Shannon Marang Cox at smarangcox@arthritis.org | 909-489-2217 or Amanda Casalengo at acasalegno@arthritis org | 818-419-5047.